Ah, my favorite... its back!! Natsume! And, like clockwork, after watching the anime I suddenly want to reread the manga, and, after rereading the manga I want to rewatch the anime! I can't wait for more, going to be a great season because of this show! A nice sort of episodic anime tied by an off to the side storyline this is a nice relaxing anime that has a simple charm making you wanting more. Though some character interactions can be dry and cliche, it has great character development and a new interesting character each episode, that doesn't feel overwhelming or stuffy. Definitely an anime worth your time. 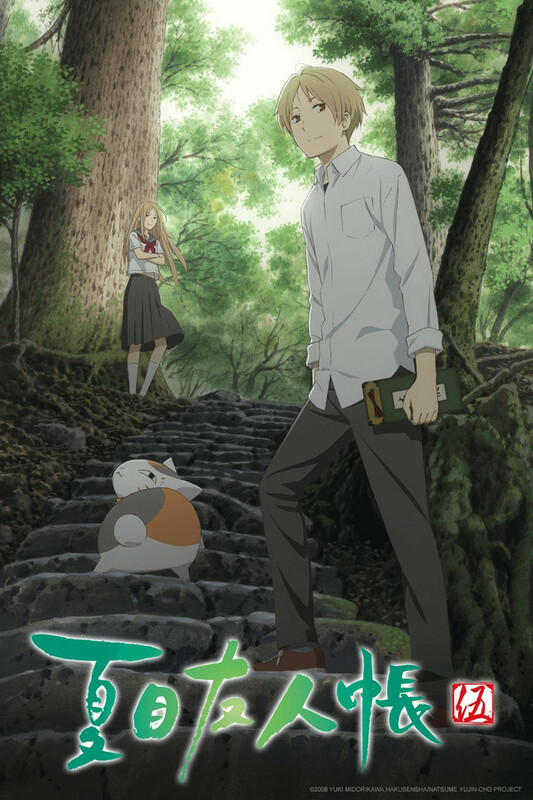 This new season of Natsume Yujin is amazing with new adventure and stories. I love the color of the scenes and the high details that the studio has work on the episodes. If you love Natsume Yujin last season this new season you will love it more. So don't miss this new adventure of Natsume-kun. welcome back to an old friend! One of my favorite series. I like the fact it avoids the usual.."can we make the battle even more over the top than the last one trap. that so many anime fall into to. If you enjoy a lead character that handles obstacles and conflict in a non combative way, yet avoid being a wimp.. then this anime is for you. plus the cat disguise is impressive! Natsume Yujin-cho makes me cry almost every episode... I like every character and supporting character introduced. I like the quality of the art and the depth in the story. It's nice to see someone with such a sad past finally achieve happiness. I love this series and it is easily my favourite.